It’s still dark outside but my excitement to see the winning images before the public has spurred me to get out of bed, even if it is 5:30 in the morning ! Luckily the trains are running smoothly, a blessing on such an eventful day. I am on my way meet talented photographer and friend Karolina Tornqvist. Karolina is a brilliantly talented photographer, she has spent time volunteering at orang-utan orphanages and has also worked closer to home with Red Foxes in rehabilitation. Arriving in Victoria it’s safe to say the first priority was coffee. Fuelled and ready to go we made the short journey to South Kensington. This is the fifth year that I have been to the awards and the feeling of excitement builds year on year. 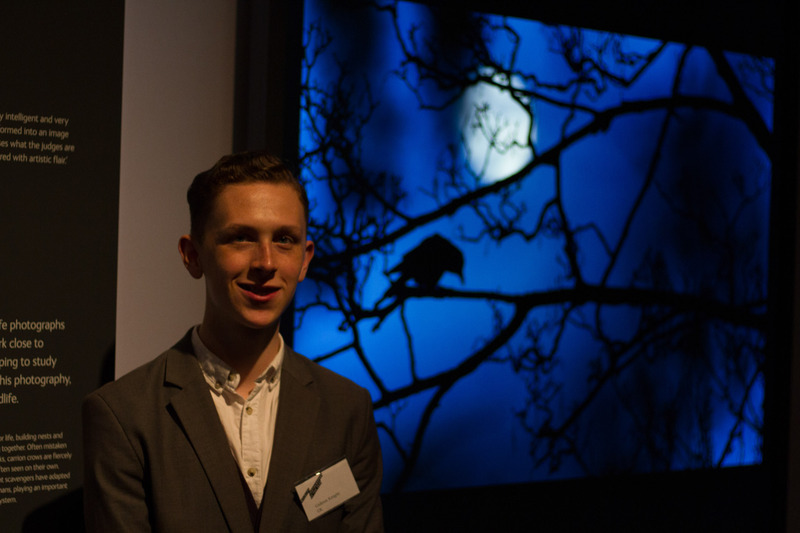 It also just so happens that the Young Wildlife Photographer of the year is a good friend of mine, Gideon Knight. Heading down to the underground we encountered a complete rat race as one of the line was not running, that line happened to be the one that we needed to reach the museum. As much as it was an annoyance we soon worked our worked to the museum entrance. We then made up way through to the main entrance to the exhibition. I was soon met with the friendly voice of Andrew Parkinson, a leading wildlife photographer in the UK. 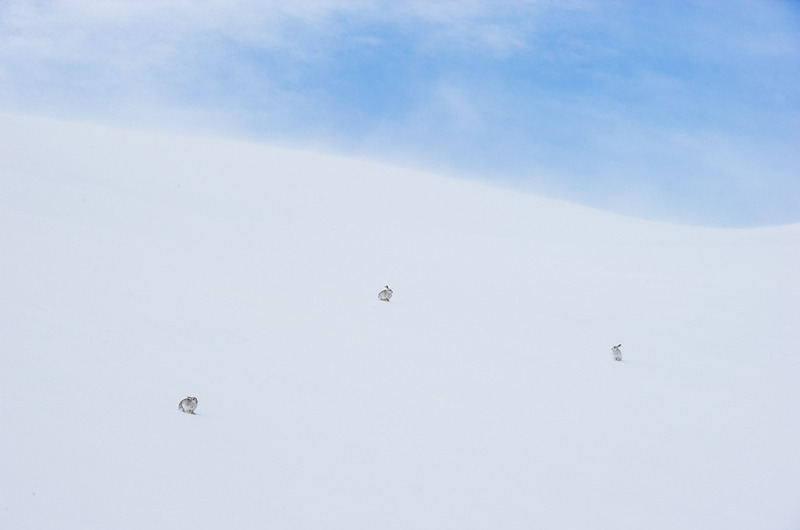 His image of mountain hares was quite refreshing and wholly original. As always I like to see the young winners first and see what the next generation are up to, this year they didn’t disappoint. The range of ages and the sheer talent of some of these photographer is mind boggling. A favourite of mine was shot by Louis Pattyn, Belgium. Bird’s-eye view really struck a balance of incredible wildlife in urban environments, the pastel blue tones of the images really are this image work for me and I would have been proud to have shot that image that age. 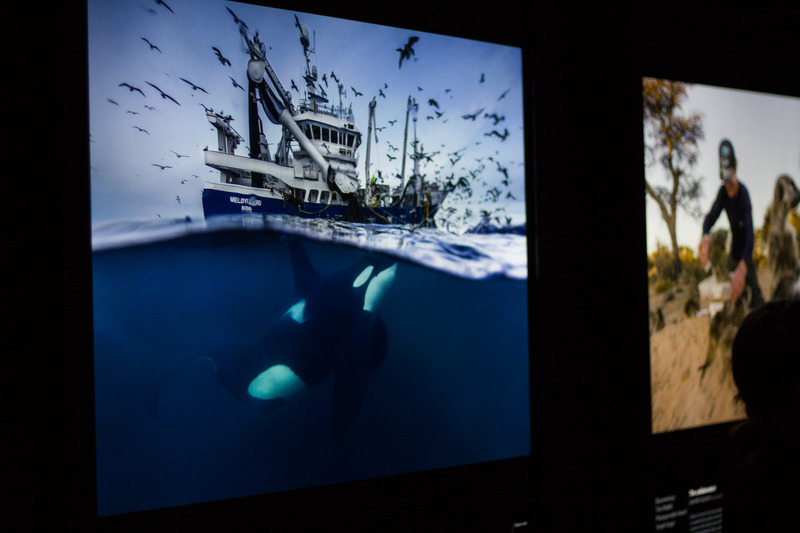 The ingenuity of some of this years photographers helped create some of the most powerful images. Nayan Khanolkar image “Ally Cat” was unique in that on first look you may assume that this is one of Steve Winters images but it’s not. He only had only camera trap setup and that made the creation of the image even more tricky. 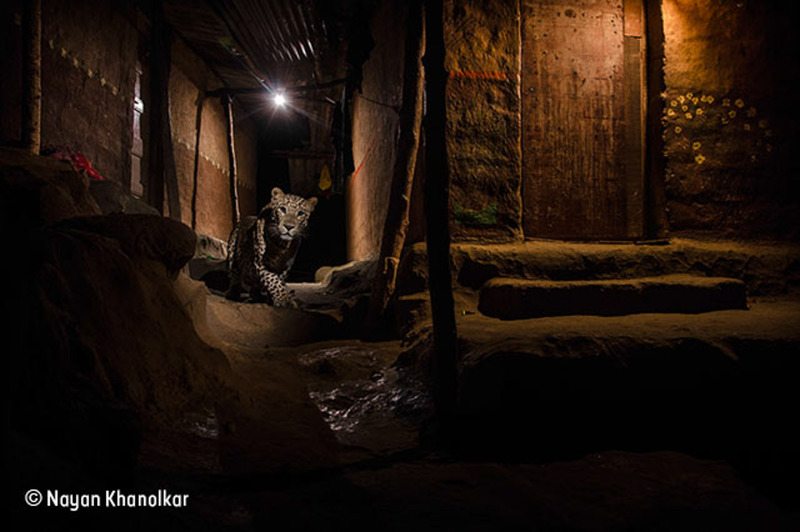 Nayan wanted to show how leopards coexist with humans in the most urban of places. This was one of my favourites and a great inspiration for photographers starting out in camera trap photography. The mammal category always brings us many incredible scenes. The winner this year, Simon Stafford, proved this to be correct with his image The Aftermath. 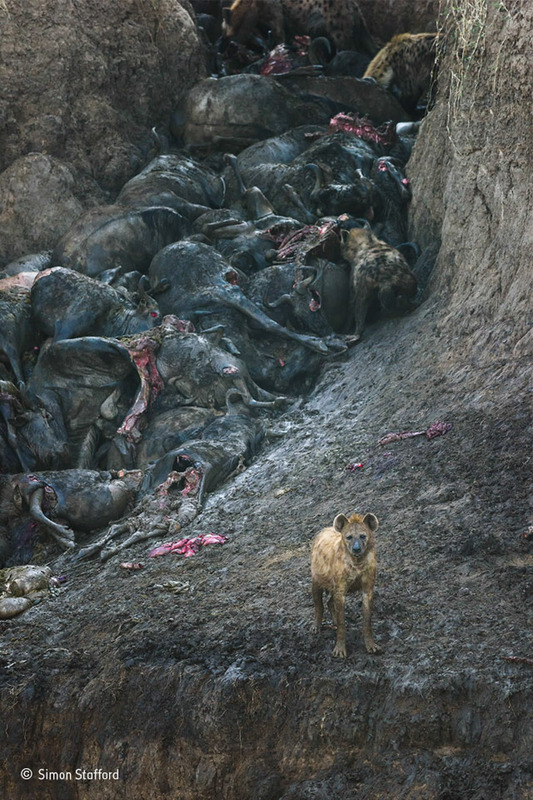 The image highlighted a part of the great migration that hadn’t really been documented before and I was amazed at the sheer amount of wildebeest that had been killed as a result of their heard trampling them to death. Charlie Hamilton James’s camera trap was all another favourite and the fact that it was a camera trap made it even more interesting. Me and Karolina then headed round to speak to the man of the hour, Tim Lamen. Tim was incredibly nice and the opportunity allowed Karolina to show Tim some of her own orang-utan images. She has some beautiful images of baby oran-utans in wheelbarrows and also of one youngster playing with a rice sack. Britta Jaschinski image of a performing orang-utan was a stark and emotive contrast to Tim’s wild individual. Britta’s work was of particular interest to Karolina who had studied her work as part of her university course, this enabled a great opportunity for two talented photographers to meet and also for her understand the process of photographing such emotive images. 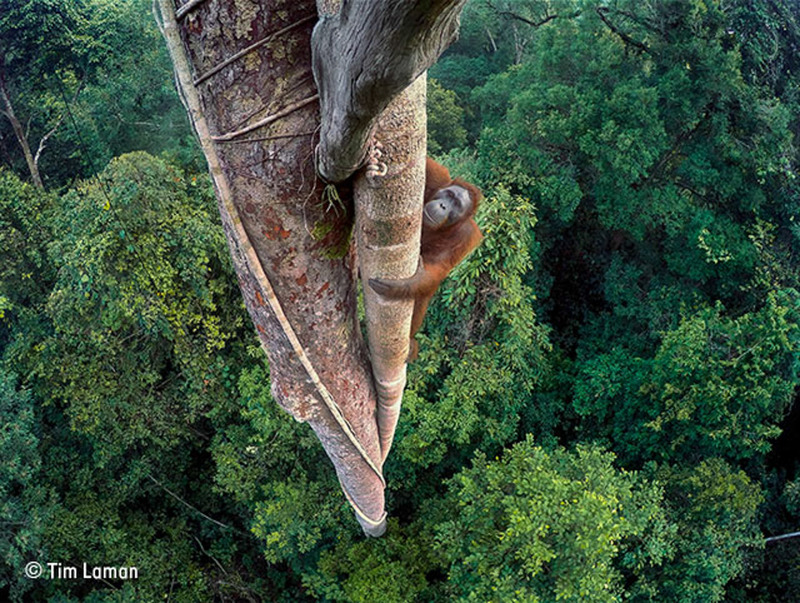 Talking of connecting photographers, this is one of the main reason I have much respect for Wildlife photographer of the Year. It brings together the most brilliant photographic minds and it also helps to boost the confidence of younger photographers. I found this to be the case when I was first awarded in the year of 2012. It opens so many doors and introduces you to so many amazing people, each year the young competition grows and so does the quality of the images. So to anyone reading this blog, whoever you are whatever age enter. It’s very cliche to say “you’ve got to be in it, to win it” but it really rings true. So take a look at this years awarded images and get inspired. I’ll leave a link below so you can find out more information about the competition. Good luck ! 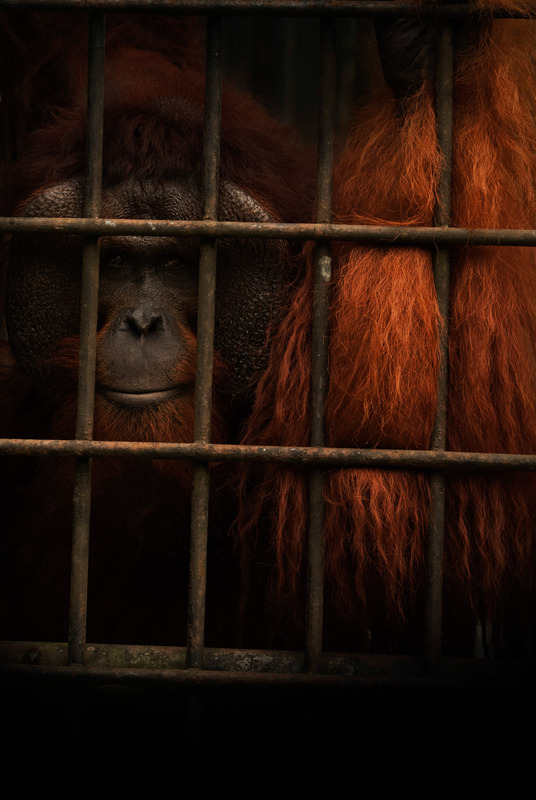 The Orang-utan got a place in Times online. Suffering from vertigo its a difficult one for me!